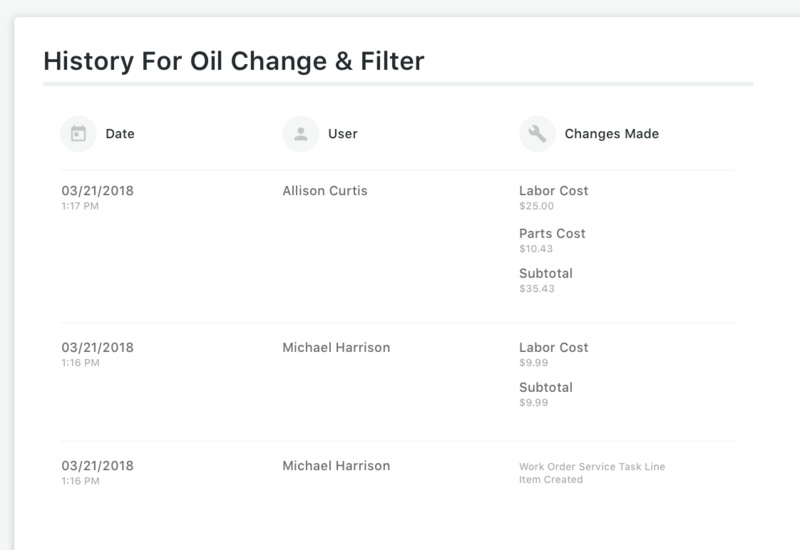 Manage your assets more efficiently with electronic work orders that are itemized and determine the total cost of service. 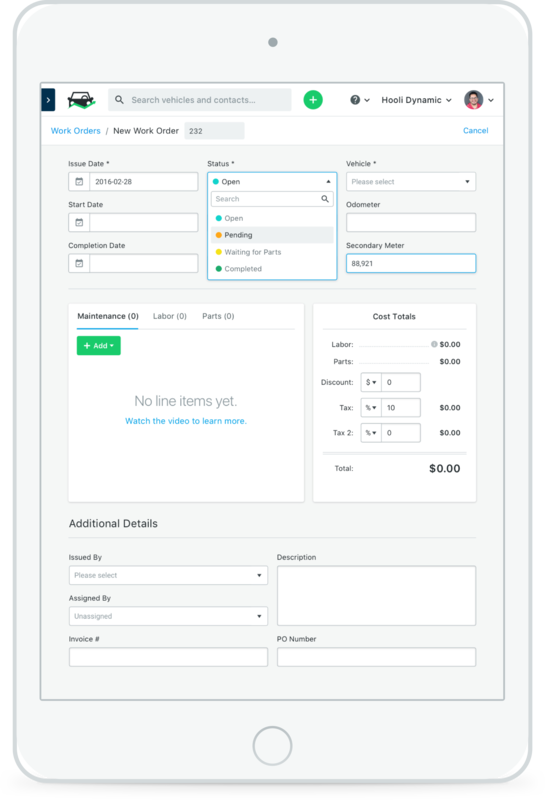 Easy-to-use work order software allows you to create and assign electronic work orders to in-house technicians or outsource to third-party vendors all from one place. Track vehicle issues, schedule servicing and analyze itemized work orders. 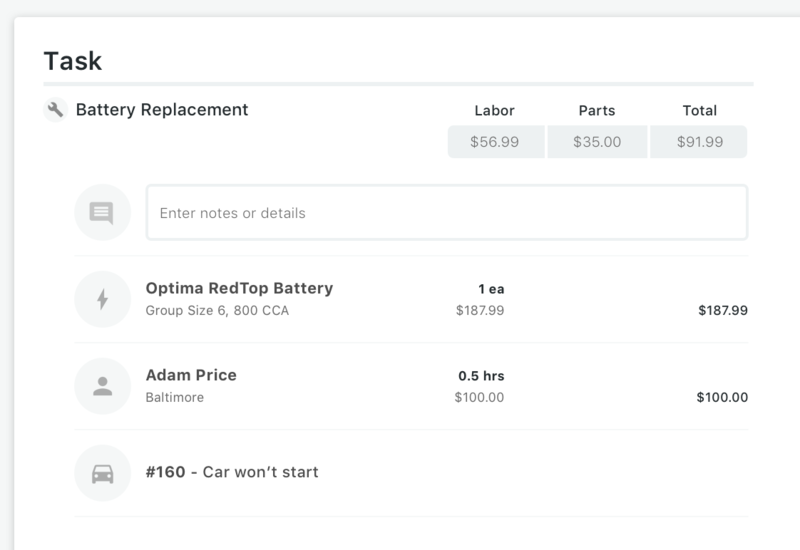 Log detailed subtasks, notes, parts and labor rates for each and every service task, giving you complete control over line-item-level data. 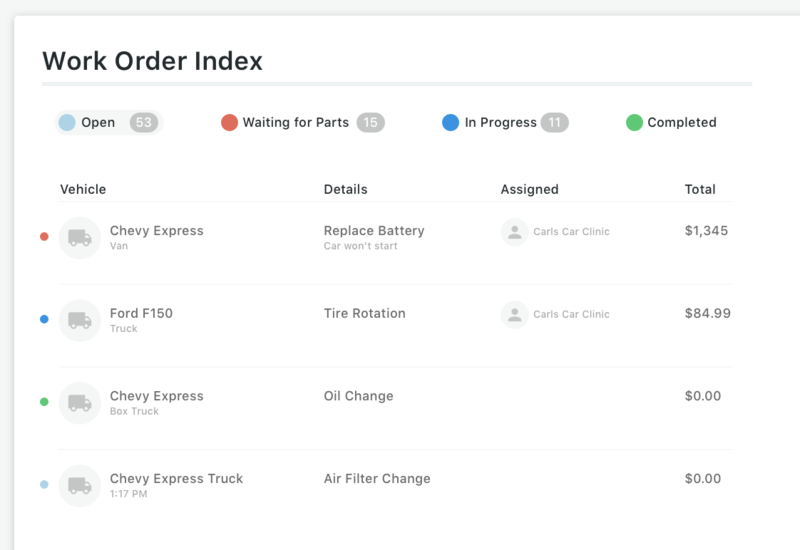 Fully track the resources needed to complete service tasks. 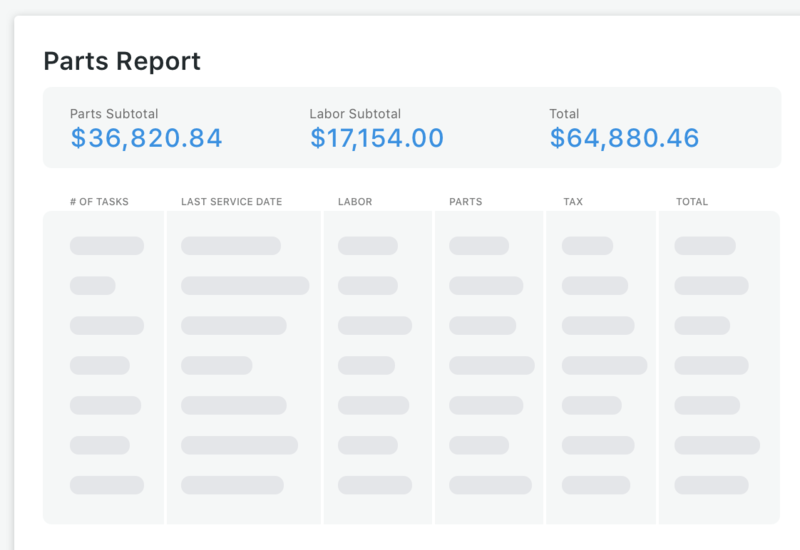 Automatically record service data in Fleetio from the repair shop's point of sale, electronically approve repair orders and get one bill including all your fleet maintenance vendors. Measure the resources needed to resolve specific issues or scheduled service tasks. 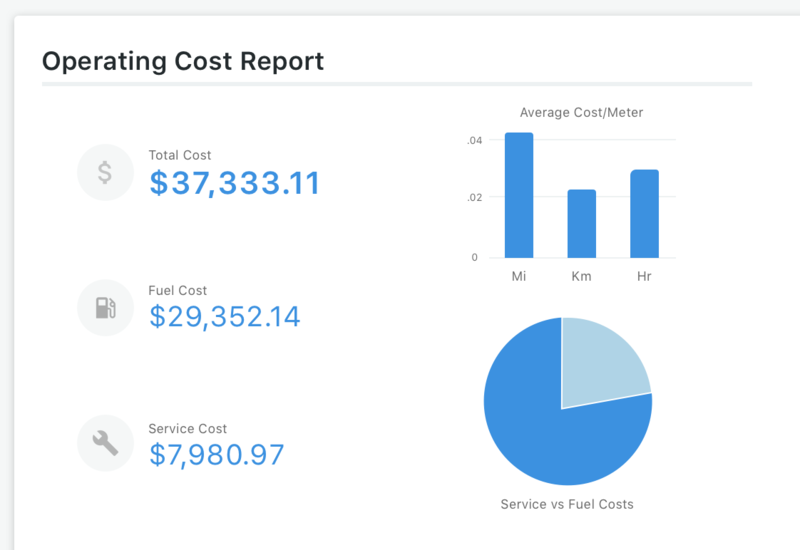 Benchmark costs across your fleet or specific vehicle types and see exactly what it takes to service all your assets. 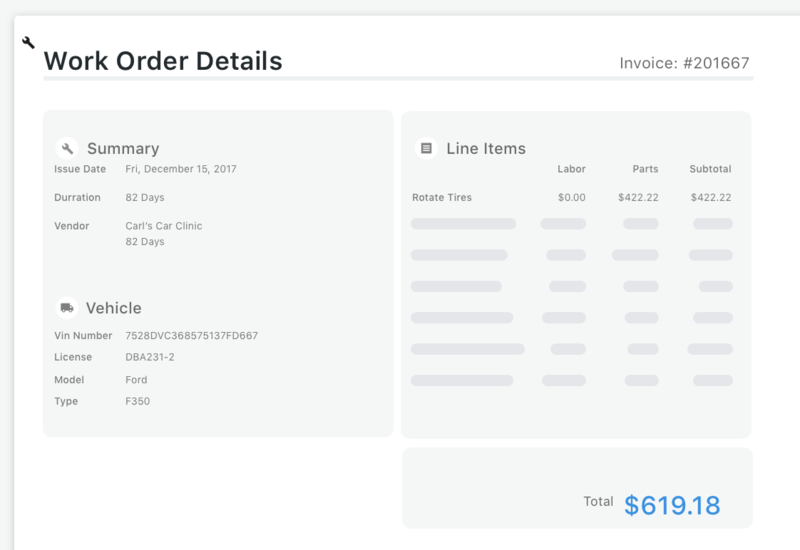 "Speaking with one of our main providers, her concern was how easy it was for her to process the information over to me and that it almost seemed too easy."